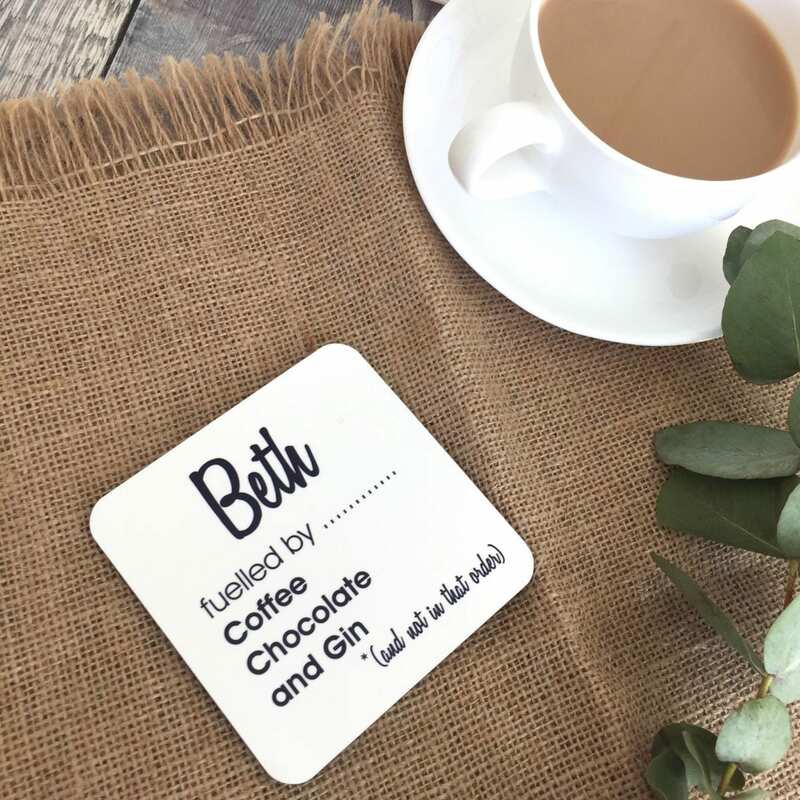 A personalised fuelled by coaster makes a lovely, quirky original funky gift suitable for almost everyone. Customers love this high quality gift which comes in a choice of print colours. Simply tell us your required name and then tell up to 4 things that person is fuelled by. You do not need to have 4 but will need a minimum of 2 things. Mum's Fish Pie, Chocolate, Gin & Tonic, Cuddles from XXXXX, Spa Breaks, X Factor. So you really can be as creative and humorous as you want to be. Now at last you can give a fun gift that will make them smile whilst also being super useful. Guaranteed not to end up in that drawer of random gifts. After all everyone can make use of a coaster at home or work. Our personalised fuelled by coaster is available in a choice of print colours, printed on high quality corked back coaster. All coasters have a stunning high gloss finish and are heat-resistant. 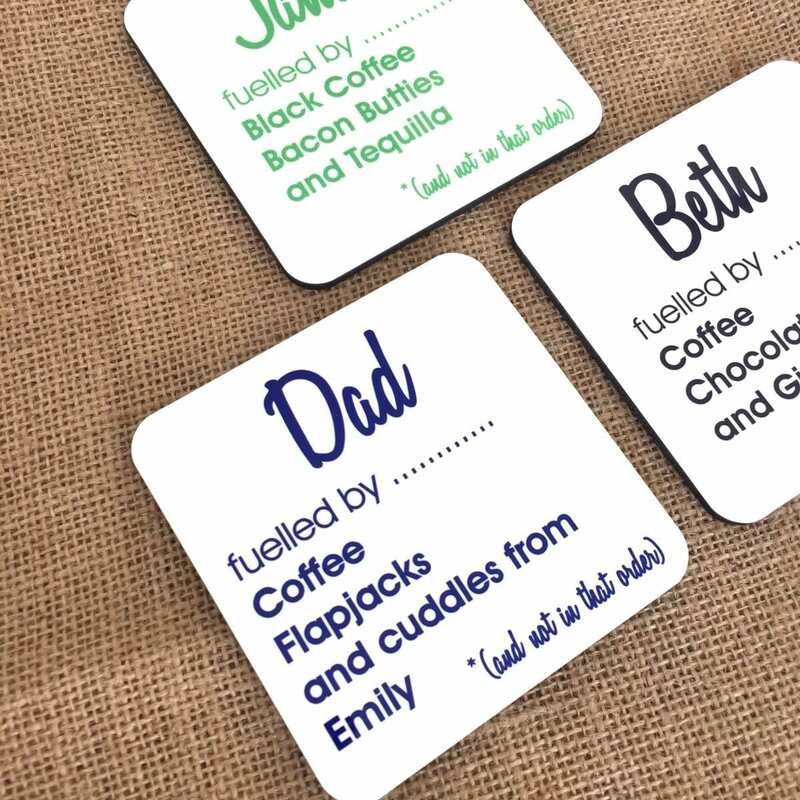 A personalised fuelled by coaster would make a fab present for Birthdays, Christmas Stocking Fillers, Secret Santa, Fathers' Day, Mother's Day or for that hard to buy for person. 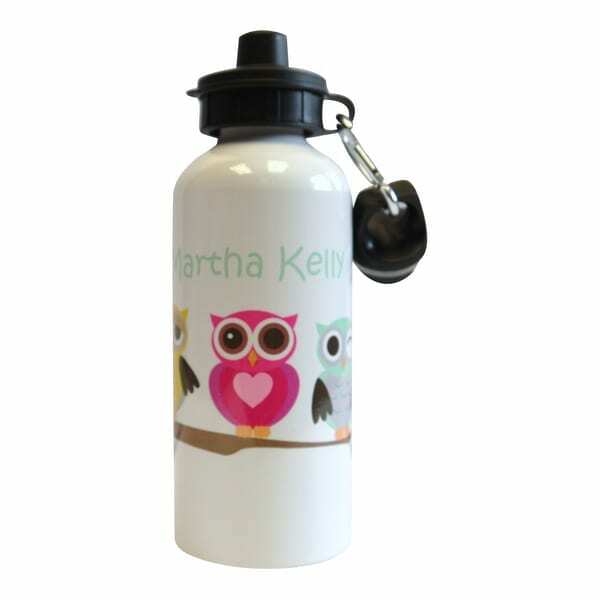 Name it Labels a UK-based company based in Somerset design and print high quality personalised items at an affordable price.